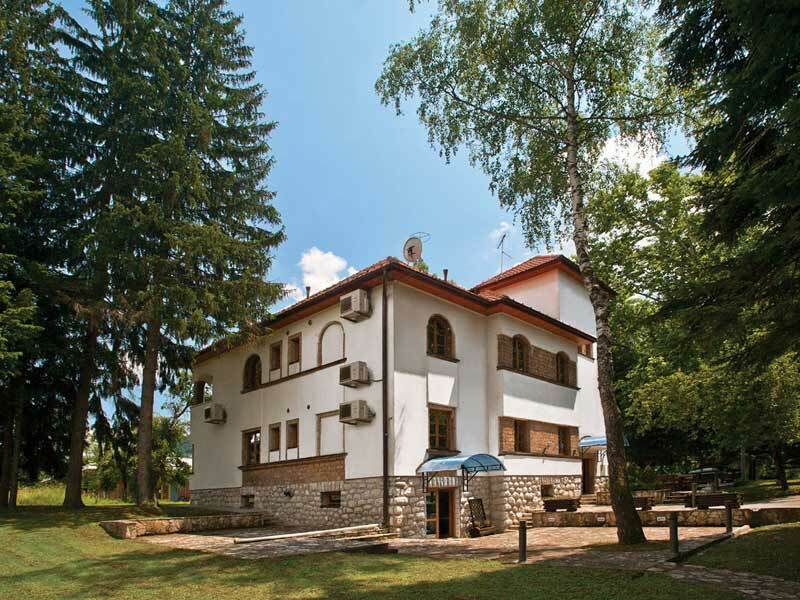 Zepter Drina Hotel is located at Bajina Basta where the mighty and green Drina flows, below the breathtaking landscape of Tara Mountain, only 168 km away from Belgrade. With 45 standard rooms and 29 new deluxe rooms equipped to satisfy 5 stars criteria, Hotel Zepter Drina offers a conference and meeting facilities (it consists of 250 seats), and it is completely technically equipped for congresses and seminars. Fashionably arranged rooms are additionally supplied with unique Zepter products for better and longer life. 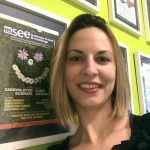 In Zepter Drina Hotel restaurant (120 seats) all kinds of manifestations and celebration can be organized, with domestic and international dishes. 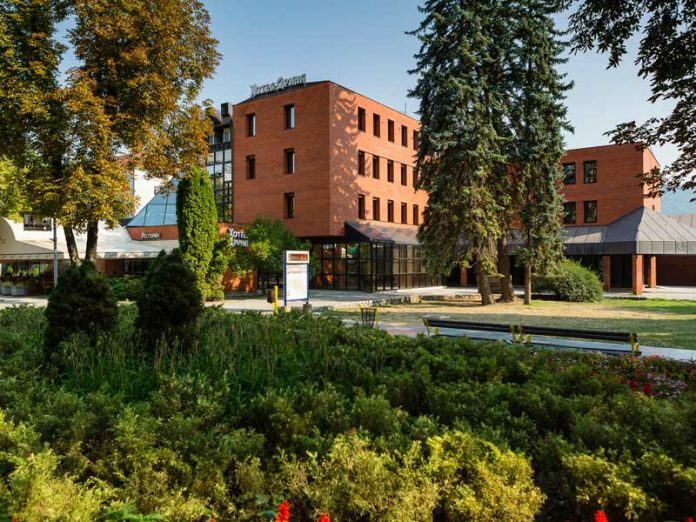 Zepter Drina hotel offers ex­cellent accommodation and nutrition services for sportsmen, sports trainings are possible as well on open spaces or in a sports hall nearby the hotel. Various trips can be organized within the Tara National Park for hotel guests as well as boat tours on the Drina, boat trips on Lake Perucac, visits to the historical and national localities situated in this magnificent part of Serbia. Vila Drina is located in Perucac surrounded by the beauty of nature, 13 km ahead from Bajina Basta, below the mountain Tara. It is situated between two rivers Vrelo and Drina, both rivers are 20 meters away from the hotel. Beyond the river Drina is a beautiful waterfall of river Vrelo, the shortest river in Europe (365 m). All guests keep unforgettable memories on refreshing and recharging vacation and a good night’s sleep by waterfall sound. This luxurious villa, originally built between two world wars, has been renovated recently and transformed into fashionable garni hotel with 15 rooms and apartments that are awaiting new guests with desire to provide unforgettable holiday. Although Vila Drina offers restaurant/ meeting room (40 seats) perfectly suitable for small seminars and meetings, and restaurant Vrelo is a part of this complex. Restaurant Vrelo has one of the most beautiful summer terrace in Serbia. 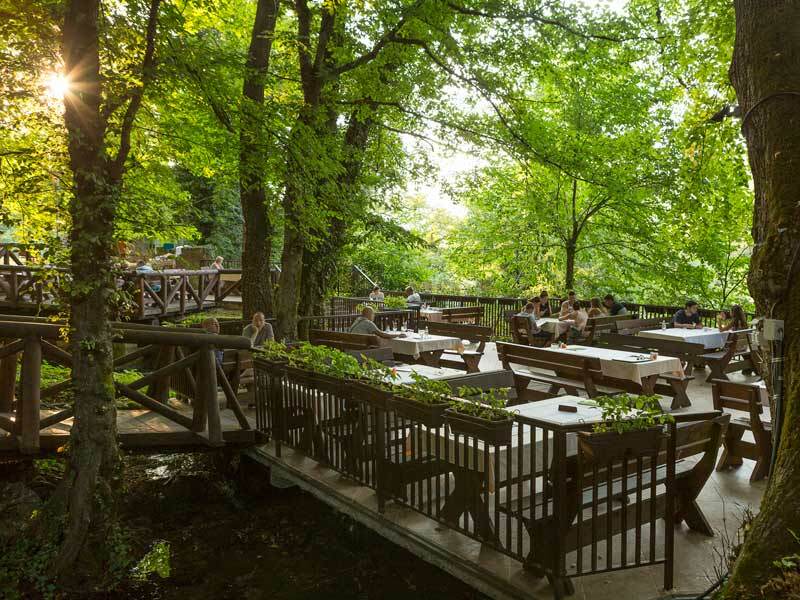 The capacity of restaurant Vrelo is 250 seats, 100 seats inside and 150 outside on the terrace with natural surrounding by river and waterfall, this place has unique ambience, especially during the summer where water sound and refreshing air become escape from warm days. Restaurant Vrelo is suitable for all kinds of celebrations and events.